A dental restoration is any fixture that is placed into, over, or in replacement of a natural tooth to restore functional chewing and a pleasing cosmetic appearance. Dental fillings are the most common technique used to repair teeth that have been minorly damaged by decay. What Issues Can Dental Restorations/Fillings Improve? The purpose of a dental restoration is to reinstate the structural integrity of a tooth or teeth that have been damaged by oral disease or injury. The development of a variety of restorative options has allowed dentists to address a wide spectrum of damage, including chips, severe fractures, even extensive tooth failure or loss. Ultimately, the right restorative care can improve the functional and aesthetic value of the smile. Who is A Candidate for Dental Restorations? Each type of dental restoration has its own benefits. To complete a full-mouth restoration, we can combine several treatments. Dentures are a common tooth replacement option through which biting and chewing capabilities can be restored. 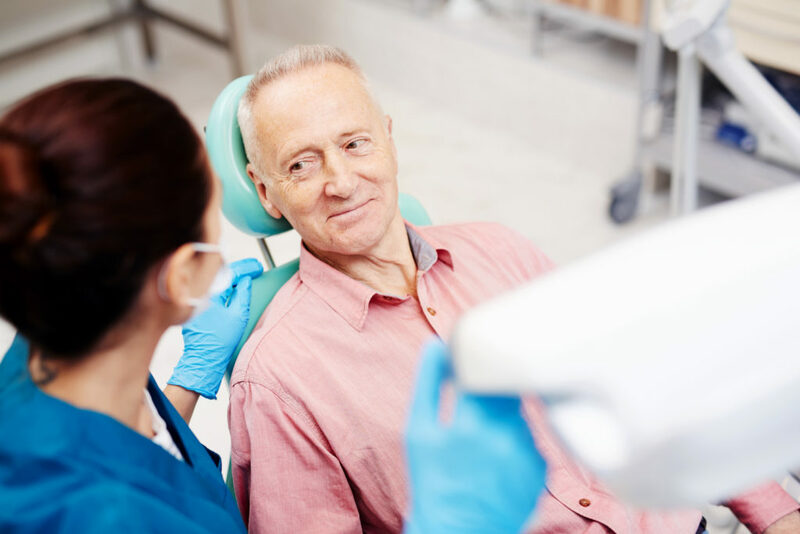 Traditional dentures, both full and partial, are removable fixtures that are held in place with natural suction and, in some cases, dental adhesive. Partial dentures replace a set number of teeth and are secured onto surrounding natural teeth. Full dentures replace an entire arch, or both arches, with lifelike artificial teeth set into an acrylic or resin base. Crowns and bridges are often discussed together but are very different from one another. Dental crowns used to be referred to as “caps.” This was a good descriptor because this type of restoration literally caps a damaged tooth. Modern dental crowns are typically carved from high-quality dental porcelain, a durable material that most closely resembles natural tooth enamel. A dental bridge is a type of restoration that is used to bridge a gap between two natural teeth. A bridge typically includes at least one crown, usually two. The crown acts as an anchor when situated over a natural tooth. Next to or in between crowns is a pontic, or artificial tooth that sits on top of the gums. Dental implants are the most recent innovation in restorative dentistry. This type of restoration sits beneath the gums and acts as an artificial root. A dental implant is a tiny post made from surgical-grade titanium. One or more posts can be installed into the jawbone in a minimally-invasive oral surgery procedure. Over the course of a few months, the titanium cylinder becomes encased in bone, stabilizing it so it may hold a crown, bridge, or denture. Inlays and onlays could be described as expansive fillings. Each is used in a particular situation for which a standard filling cannot suffice. Both are made in a dental lab based on an impression of the prepared tooth. An inlay is a tooth-colored restoration that is bonded into the chewing surface of a tooth to repair damage caused by decay or injury. An onlay is a tooth-colored restoration that may extend over one or more of the cusps, or corners, of a tooth. Extensive oral decline may require a broader spectrum of care. Full-mouth restoration is a process through which the functional and cosmetic merit of the smile is rebuilt using necessary restorations. Full-mouth restoration may involve tooth replacement and the installation of various fixtures such as crowns and fillings to restore the adequate structure to the mouth and beauty to the smile. How Long Do Restorative Treatments Take? Minor restorative care such as a dental filling can be completed in a single office visit. Restorations that require laboratory manufacturing, such as dental crowns, bridges, and dentures, are completed over a series of visits. Our team discusses the details of restorative care after our initial consultation and examination so you know what to expect throughout your treatment plan. A number of different materials have been used to repair teeth through the history of dental medicine. In recent years, we have come to understand the value of a natural-looking smile. This has led to the development of lifelike dental materials that also function nearly as well as natural enamel. Dental porcelain is one of the most commonly used restorative materials. It is resilient, lasting, and lifelike. Additional materials used to restore damaged or missing teeth include acrylic, zirconium, and composite resin. The use of durable materials enables patients to enjoy cosmetic value and functional abilities for several years following dental restoration. Dental fillings, crowns, bridges, and other fixtures typically last from 7 to 15 years or more with proper care. Consistent, efficient oral hygiene is as critical to dental restorations as it is to the prevention of dental disease. Patients are encouraged to brush daily with a soft-bristled toothbrush and non-abrasive toothpaste. Daily flossing is also vital to the preservation of dental restorations and also lasting oral health. Daily oral care and professional checkups and cleanings are a winning combination for prolonged health and wellness. If you would like to learn more about our fillings and restorations, call 212.758.9690 to schedule a consultation at Prosthodontics of New York. Our practice serves NYC, Manhattan, and surrounding areas.